A Padario Portuguesa is a 100% local bakery-café serving 20 kinds of fresh bread daily, along with sandwiches, salads, and classic sweets. Don’t miss the brioche or the pasteis de nata, and if the weather’s good, sit at one of the pretty sidewalk tables on Rua Mouzinho da Silveira. A great spot for breakfast or brunch. North of Miradouro de São Pedro de Alcantara is the district of Principe Real, essentially an extension of Bairro Alto, with a pleasant square and shady garden. In the center of the square is a cafe and some exotic trees, including a hundred-year-old cedar that looks like a giant umbrella, all surrounded by colorful 19th-century mansions. At number 26 is Ribeiro da Cunha Palace, a pink and white building dating from 1877, whose architect wanted to create a romantic evocation of the Moorish world. It includes horseshoe arch windows, pyramidal spires, and circular, Oriental-style domes topped by pinnacles, now housing a shopping gallery called Embaixada. 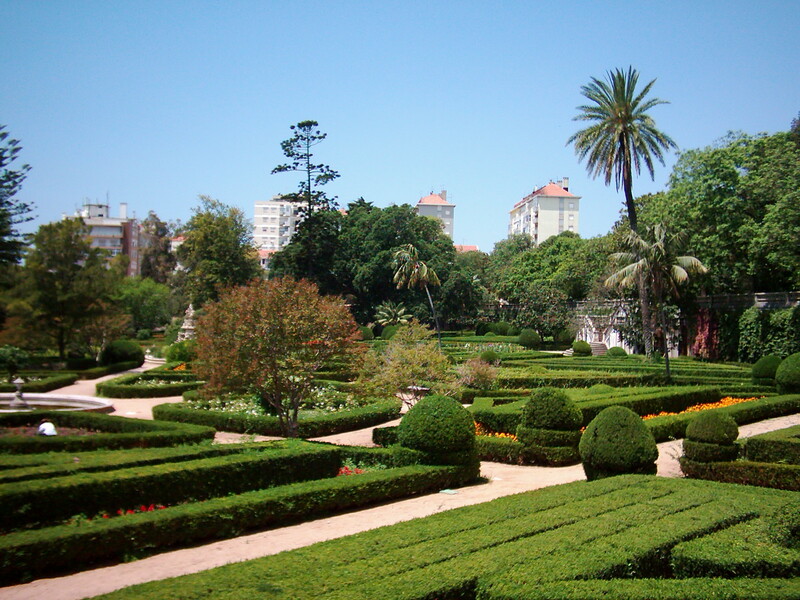 For a mere two euros take a peaceful stroll through the verdant Jardim Botânico. You'll find an extensive range of interesting and unusual plants. The area with the cactus plants and the dragon tree are highlights. Tip: Avoid during winter months, as the gardens are not well maintained. The National Museum of Natural History occupies an expansive complex near Príncipe Real. Along with the interior exhibits focusing on natural history and dinosaurs, the museum is situated within an exotic botanical garden. Be sure to visit the butterfly greenhouse, which houses a conservation center for Iberian butterflies. Joint tickets for the museum and gardens at €6. Closed Mondays. 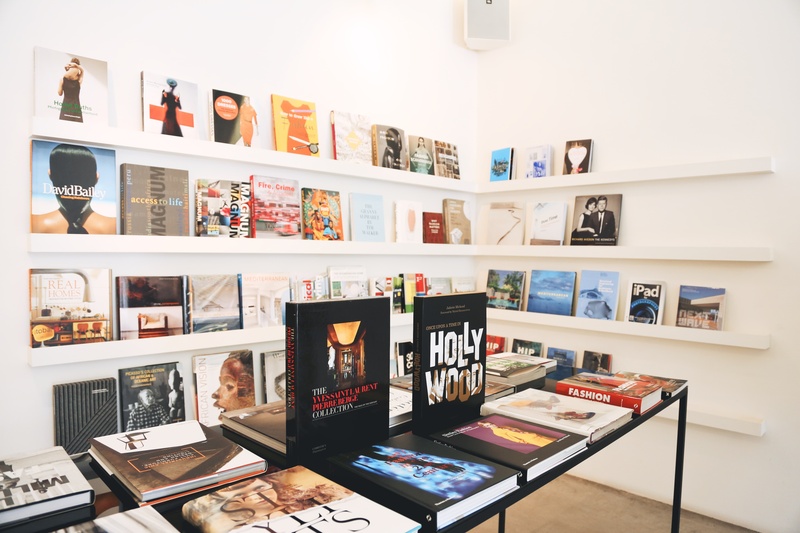 This lifestyle and design shop is great place to shop for local brands like Dino Alves. There are also designer fashions by the likes of Racines du Ciel, Fred Perry and Comme des Garçons. Clothing aside, you'll also find scarves (for men and women), artfully designed jewelry, art books, sneakers and other collectibles. In the heart of Príncipe Real, Bettina e Niccolo is a hip café and chocolate oasis where they source their beans from a family plantation in São Tomé and Príncipe. Besides their terrific bean to bar creations (with 75%, 85% or 100% cacao), they also serve 100% cacao sorbet, hot chocolate, and delectable desserts like a sea salt-sprinkled double layer chocolate cake with caramel cream filling. The coffee here is great, too, and when you order an espresso, you get a generous piece of chocolate to go with it. Cerveteca is a laid-back craft beer bar across the street from Praça Das Flores where you’ll find everything on tap from Brewdog of Scotland to Mikkeller from Denmark, along with local microbrews. Bottles cost 3 euros and drafts cost 4-6 euros, the crowd is a lively mix of local and international beer lovers, and the bartenders can tell you the story behind each and every beer. Don’t be afraid to ask for samples. Cantinho Lusitano specializes in fine wine and small, flavor-packed Portuguese dishes. The petiscos (small eats) style of dining encourages sampling to a variety of Portuguese delicacies, such as baked goat's cheese drizzled with honey, breaded meatballs dipped in sweet jam, and fluffy grilled fish cakes. Finally, we have to give them extra credit for having one of the best desserts in all of Portugal: cottage cheese with pumpkin jam. Ask about their daily specials. Be warned: This place only seats 20, so you absolutely must reserve a table in advance. Cinco is an upmarket bar with a trendy international vibe and an impressive drinks menu. Their mission? To create a sophisticated cocktail culture in the city of Lisbon where absolutely anything goes. The menu blends classic and contemporary drinks. New cocktails are introduced each season, such as the Finders Keepers, with gin, lemongrass, ginger, lime, mint, and ginger beer. Despite the designer lighting and the rich color scheme, there’s no dress code, and the music is never too loud for a good conversation.